Different storage methods work better for different kinds of produce. Here’s a quick guide on how to store various types of fresh produce to make sure your food stays good as long as possible! 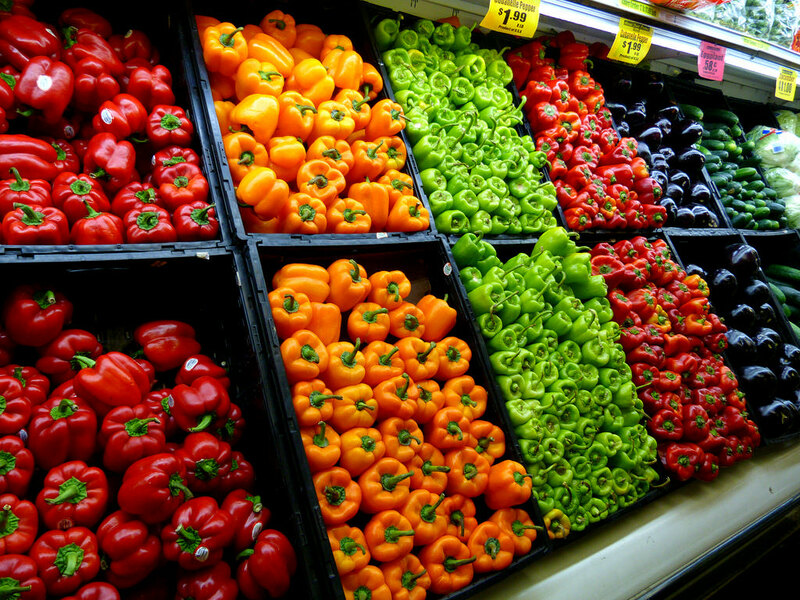 Store produce dry. Water on your produce will cause it to spoil much faster. If anything has water on it, lay it out on a paper towel on the counter until dry, then store as recommended below. Ripe items will cause the items around them to ripen more quickly. So if you have an overripe, brown banana, don’t store it right next to an avocado you aren’t planning to use for a week. Spoiled pieces of produce will cause their neighbors to spoil too. This is especially true for leafy greens and berries. If you see any pieces that are starting to go bad, remove them from the rest of the produce and throw them away. Berries: If any berries are smashed or moldy, remove them from the rest of the berries and discard or they’ll make the rest of the package go bad. Leafy greens: If any parts are wilting/going soft or rusting, remove those pieces or they’ll make the rest of the bunch go bad too. Breathable, cool, dark place (Like a cabinet--not the fridge. Should be between 50-70 degrees). Store all of these in a breathable bag (like a paper bag), not plastic. Remember to check on your produce every few days! Food will usually start looking old before it goes bad, so checking frequently will help you catch anything on the edge. If anything is starting to look old either eat it right away, use it in a soup, or cut it up and freeze it for use in a soup or smoothie later (when applicable).